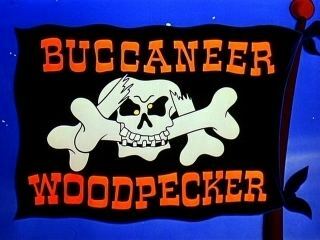 Buccaneer Woodpecker is the 46th animated cartoon short subject in the Woody Woodpecker series. 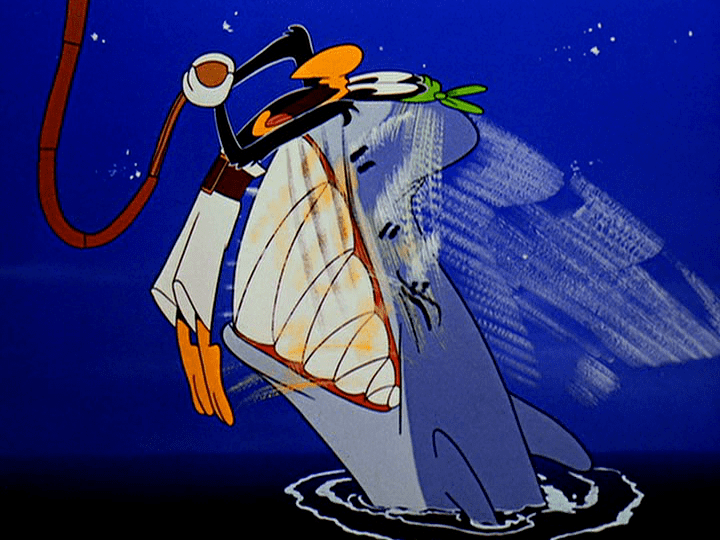 Released theatrically on April 20, 1953, the film was produced by Walter Lantz Productions and distributed by Universal International. The film begins in the 17th century, a Town Crier announcing that Buccaneer Buzz Buzzard's ship, the Black Mariah, has been sighted in the towns harbor, and warns the citizens "lights out, doors locked". Town magistrate Wally Walrus is worried that Buzz has come to loot the town; to prevent this he issues a huge reward for the pirates capture. Lantern Lighter Woody Woodpecker rushes in to tell the magistrate that he'll capture him, and rushes back out heading straight to Buzz's ship. Immediately after boarding, Woody runs into Buzz, and for the rest of the short does everything he can to try to bring him in. Buzz, of course, uses every trick in the book to avoid capture (and to get Woody off his ship); and both try to not get eaten by a hungry shark waiting in the sea below. Instead of capturing Buzz, Woody winds up blowing him up in the end (though Buzz, now a ghost, seems to have forgiven him, telling him that he "didn't feel a thing" from the explosion), and gets both the reward and Buzz's ship. The shark meanwhile, having now blown his opportunity to eat either of them, chases after Buzz's ghost, trying in vain to eat him.